I get an error loading Penguin Service Release 3. After successfully installing Penguin Service Release 3, I open Rhino and Penguin will not load. 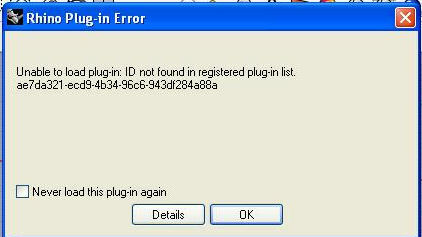 This error appears: Unable to load plug-in: ID not found in registered plug-in list. Install the latest Rhino 4 service release. Download and install: Microsoft Visual C++ 2005 Service Pack 1 Redistributable Package ATL Security Update. 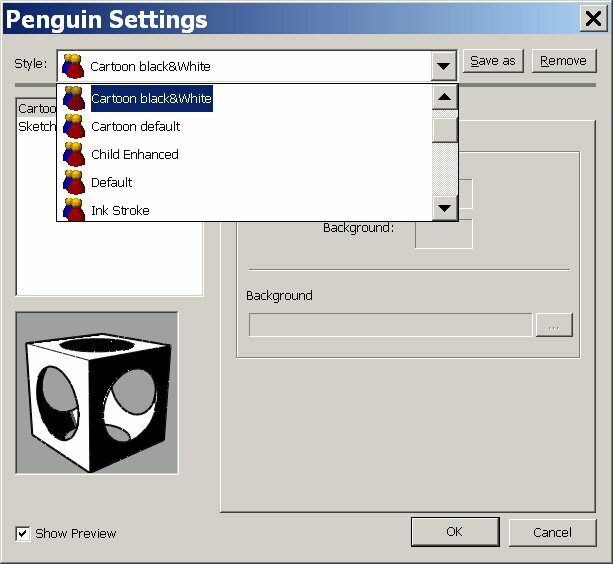 My Penguin rendering stops at 0 percent. How can I fix this? Immediately start the PenguinSettings command before you launch a first render. After selecting any style or making your own, you should be able to render with Penguin successfully.